Looking for a good last minute deal? 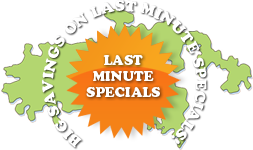 We are always updating our listings of available last minute specials. Save big with short notice travel!